Did you recently join the team or are there many new team members? 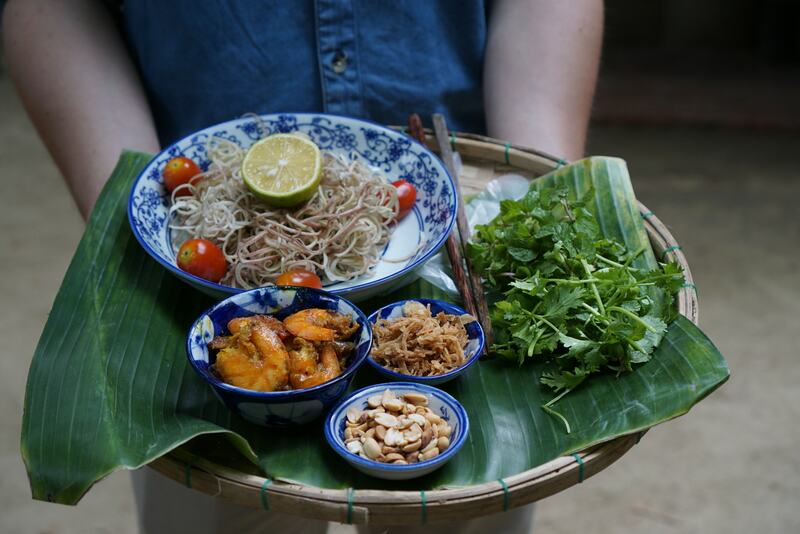 There is no better way to get to know your team and gain their trust than in a relaxed cooking class atmosphere. Your team has been working hard and it is time to get out of the office! Rewarding your team with a cooking activity will make everyone feel appreciated and boost productivity. A happy employee is a loyal employee! 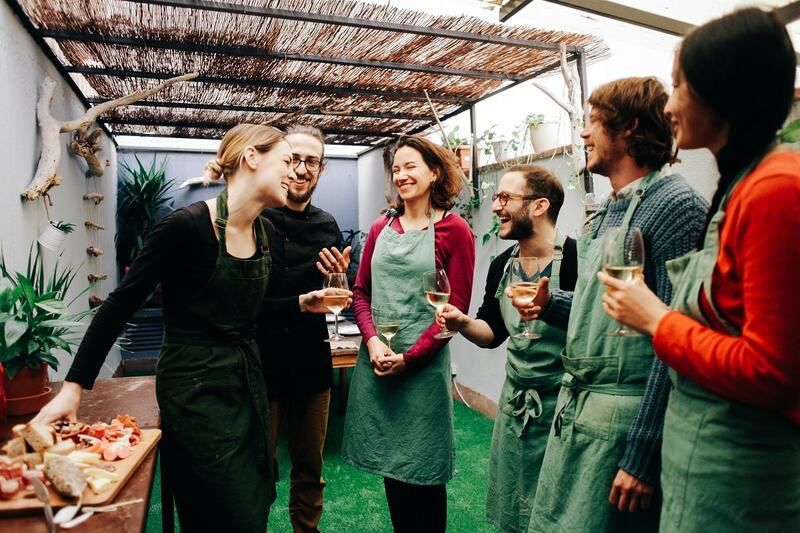 Taking a fun cooking class with your team will bring you closer together and help create a team atmosphere where everyone feels welcome and comfortable. With a great variety of cooking schools as our partners, we have the capacity to host big and small groups alike. "But two of my team members are vegans"
Dietary requirements, such as allergies or a vegetarian/vegan diet, do not pose a problem. We work only with professionals who are trained in creating alternative menu options. Team building activities should be available to all types of companies. 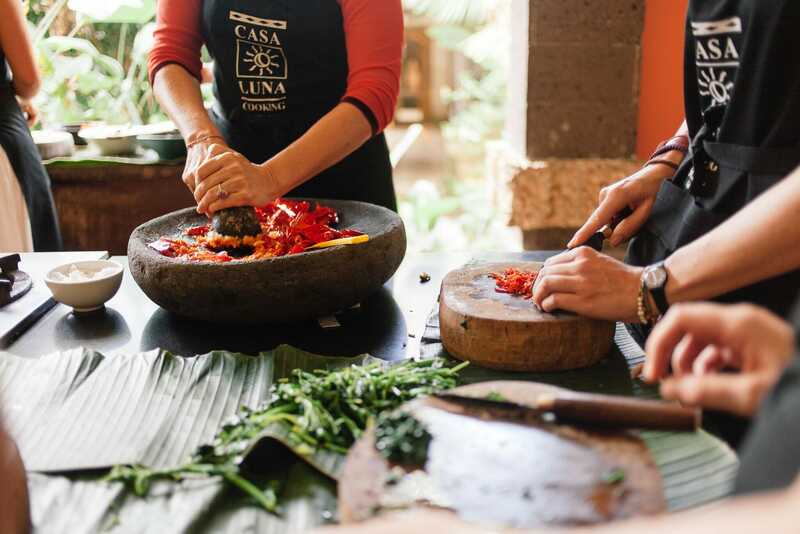 With our many cooking classes, we offer a wide range from inexpensive cooking classes to more high-end options. If you choose Cookly, you choose convenience. You tell us your budget, group size, location, date, dietary requirements, possibly special requests and we take care of the rest - simple as that. If you wish, the cooking class can be organized as a competition. Cheering, having fun and celebrating helps your team to bond in playful ways that motivate teamwork. In a cooking class no one will have to engage in any activities that could make them feel uncomfortable. Instead, participants find it relaxing and thus open up to their team. Cooking a menu with several dishes means that all team members have to contribute. Communication and helping each other out are the key to successfully creating a meal shared by everyone. In our cooking classes, everyone is a chef! Breaking up with the hierarchy pattern for a day facilitates gaining the trust of your team - there are no managers in cooking, only teammates.